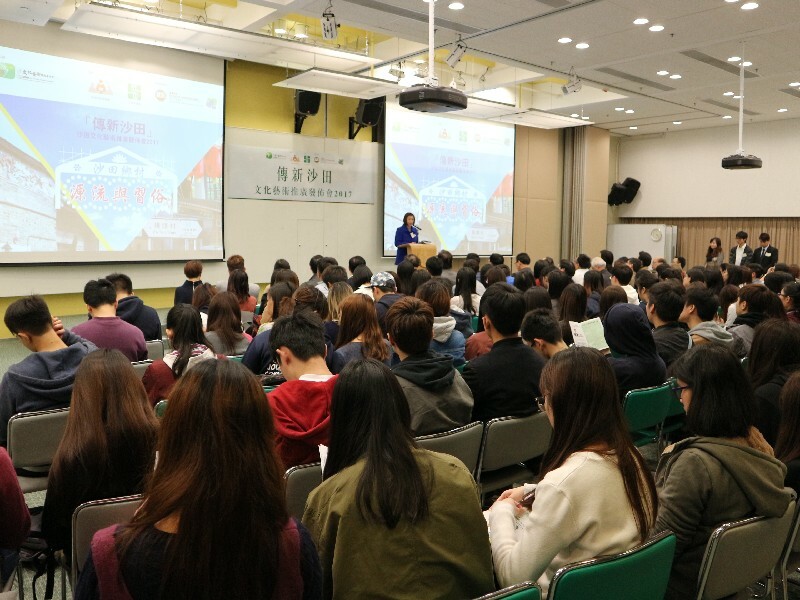 The School of Communication of Hang Seng Management College(HSMC) co-organised the Shatin Arts and Cultural Promotion Project (the Project) with Shatin Arts and Culture Promotion Committee and Shatin District Office in planning and executing a series of cultural and arts promotional events. A ceremony was held in HSMC on 15 February 2017 to celebrate the accomplishments of the Project. Mr Yeung Man Yui Gary, Chairman of Shatin Arts and Culture Promotion Committee, Dr Chan Wai Kai, Benjamin, Vice-Chairman and Convener of Appreciation and Education Working Group, Professor S M Ho, President of HSMC,Professor Scarlet Tso, Associate Vice-President (Communications and Public Affairs) and Dean of School of Communication, teachers and students of HSMC attended the ceremony. Teachers and students of HSMC’s School of Communication were in charge of project planning and coordination. 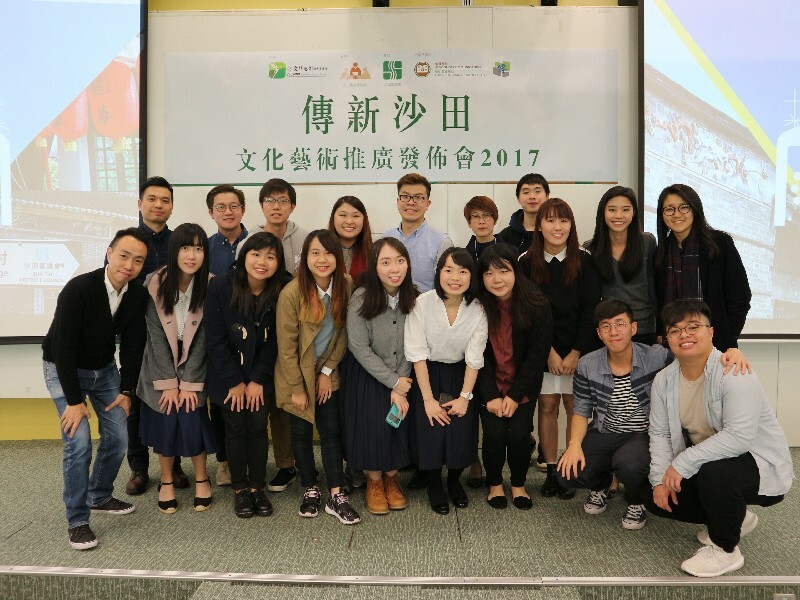 While villages in Shatin was chosen as the Project theme this year, HSMC students visited a number of villages including Pai Tau Hang, Sheung Wo Che, Ha Wo Che and Tung Lo Wan Village. 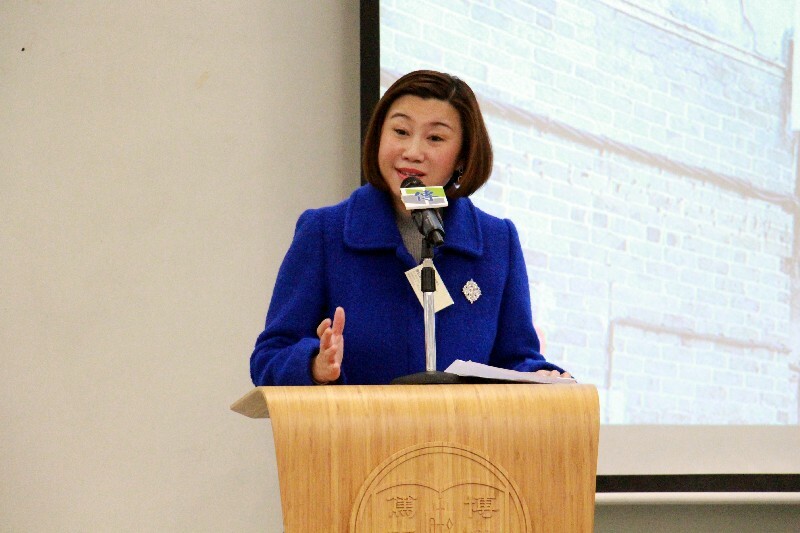 They then produced some promotional videos and a periodical in order to promote and preserve the culture of Shatin District, allowing the public to learn more about its history and traditions. 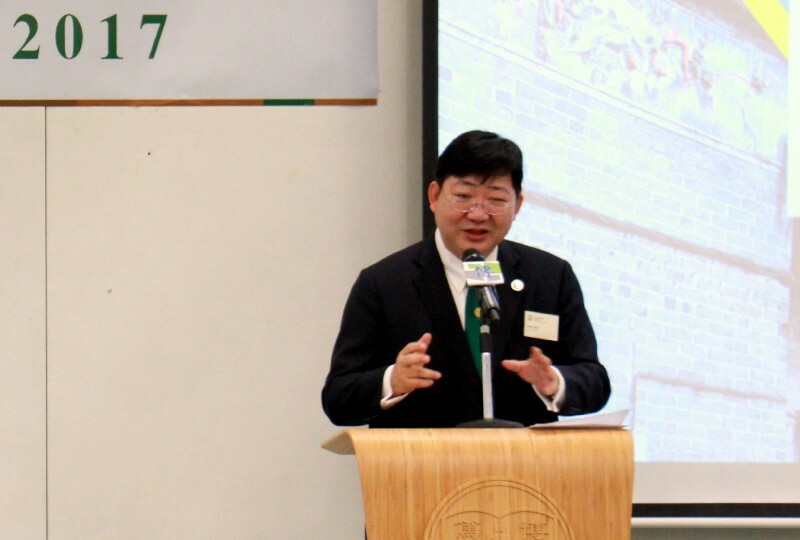 President Ho said at the ceremony that through participating in the Project, not only could HSMC students apply their professional knowledge to real-life situations, but also learnt more about the spectacular community traditions and culture of Shatin. By recording and reporting these traditions and culture, they contributed to the society by preserving community heritage.He said that HSMC treasures every opportunity to co-operate with other organisations and hoped that the concerted efforts of HSMC teachers and students could help further promote the culture and traditions of Shatin District. 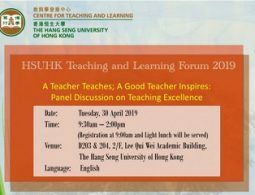 Mr Yeung Man Yui Gary said in his speech that in co-operationwith HSMC in the past four years, HSMC students demonstrated great progress intheir performance. Professional guidance and training given by professors andteachers of the School of Communication in different areas should be accreditedincluding cultural research, video shooting and editing skills, report writingand the use of new media platforms. 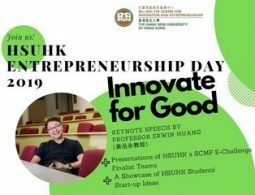 He said that the Project aims to promotecultural traits of Shatin and looked forward to working with HSMC again topromote community culture. 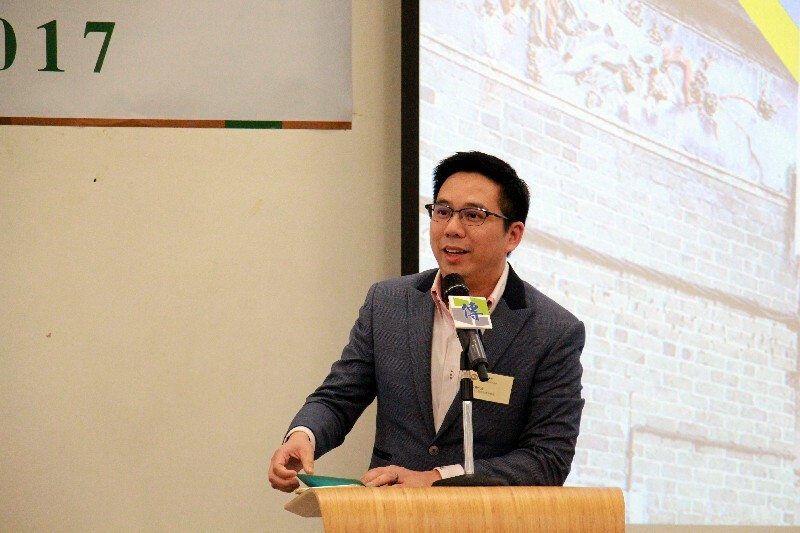 Professor Tso in her speech pointed out that 23 students from the School of Communication had spent four months on this Project,producing three promotional videos and a periodical to feature changes in traditions among local residents. Students applied what they had learned from classroom into practice and had a deeper understanding of the journalist profession as well as the types of skill required. During this period, team spirit among teachers and students was truly reflected in their close co-operation and problem solving process.